Head to Xingtian Temple's famous fortune telling street to seek answers about your future and fortune! Very polite, nice and passionate. Professional! Curious about what the future has in store for you? Try getting your fortune read by this fortune teller near Xingtian Temple! 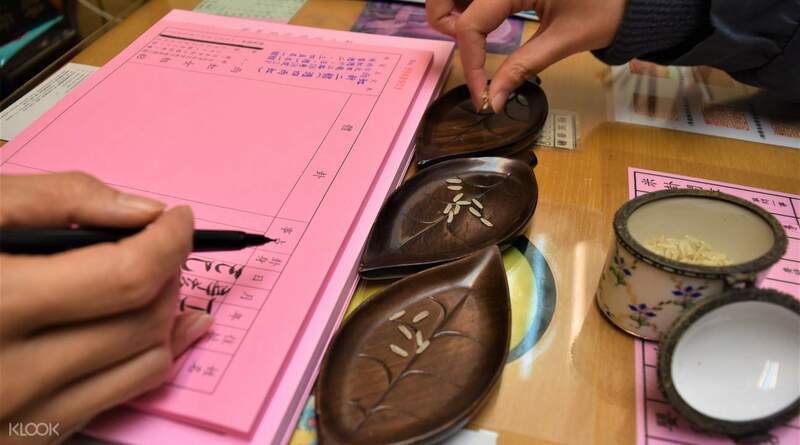 If you're only looking for a standard fortune telling session, get a fifteen-minute rice divination done and listen to the fortune teller's predictions that she gathers from the piles of rice grains. You'll be limited to only question during this session, but if more questions pop up in your head, simply pay the fortune teller directly to inquire further. 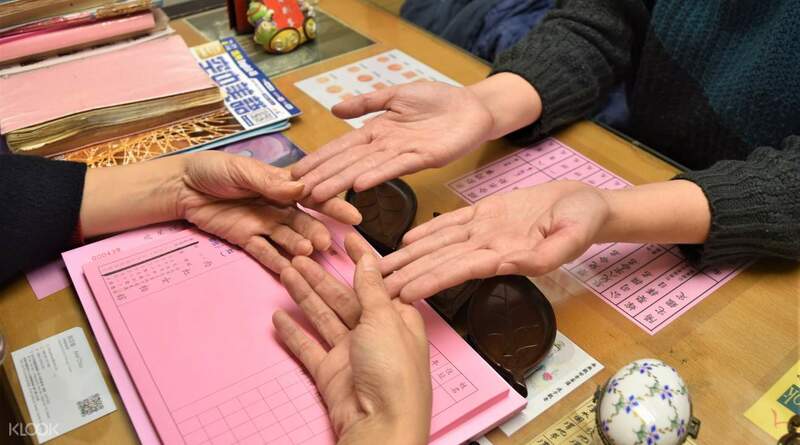 A more in-depth fortune-telling session can be done with the palm and face reading, where you can ask unlimited questions: 1sk about love, your career, health, wealth - anything under the sun! 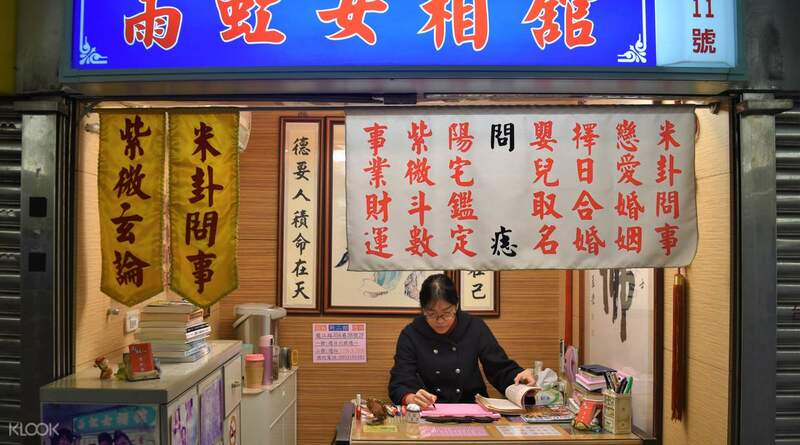 Chinese-speaking visitors to the Xingtian Temple can also have their full Zi Wei Dou Shu done, the most advanced form of Chinese astrology that will unveil where and how events in the future will unfold. English services are also available from Tuesdays to Fridays, so both locals and travelers can head over to Xingtian Temple and experience the magic! Very informative & insightful revelation with practical advice. She explains clearly on what you could expect, what you could/should do and gives you practical solutions. You can ask her any question regards to career, health, love. Very informative & insightful revelation with practical advice. She explains clearly on what you could expect, what you could/should do and gives you practical solutions. You can ask her any question regards to career, health, love. i get both palm/face n ziwei readings as both are different analysing. Did not regret. It is accurate and true. For those that never believe the fortune telling, please do come and listen. And those that believe, dont miss this chance. Thank you master for the recommendation. i get both palm/face n ziwei readings as both are different analysing. Did not regret. It is accurate and true. For those that never believe the fortune telling, please do come and listen. And those that believe, dont miss this chance. Thank you master for the recommendation. Accurate face and palm reading. knowing the birth dates of family members and able to know their character and closeness to you. Accurate face and palm reading. knowing the birth dates of family members and able to know their character and closeness to you. Awesome and accurate reading! Hope all the good things she have said will come true! Awesome and accurate reading! Hope all the good things she have said will come true! Excellent service. She was knowledgeable and kind. Excellent service. She was knowledgeable and kind. Well worth the experience and very helpful advice! Well worth the experience and very helpful advice! Very polite, nice and passionate. Professional! Very polite, nice and passionate. Professional! You can proceed from the space at the end of the Fortune Telling underground walkway. It seems that it is also good to come and go around the temple of the line easily because it is near the row capitol. 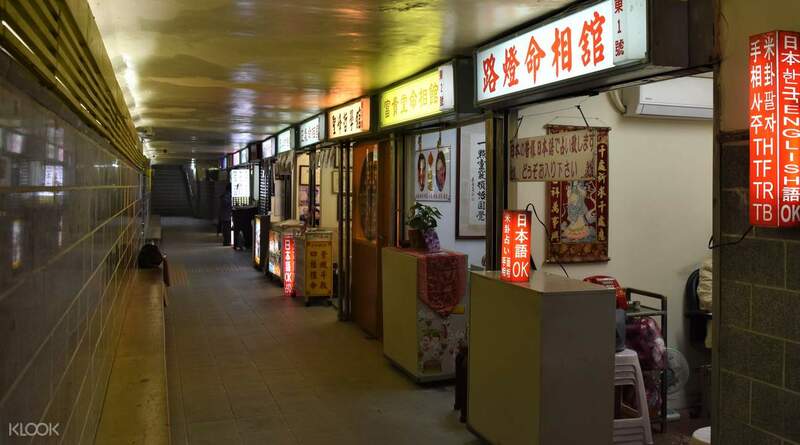 There are several places in the basement, at the far end is the Rainbow Fortune Telling (blue sign). It is possible to speak English, but it is not just good English but conversation. And it depends on the person who listens to how much you listen to the fortune telling. I have prepared a lot of details that I want to ask, and I have asked a lot more about what it says. How can I be fortunate, how can I be fortunate, the age-appropriate horoscope for each face, even the advice of my lover and my family date of birth and my palm / face horoscope ... I spent almost 40-50 minutes , The person who looks at the fortune tells me more and more, and I seem to have said it more happily. * How much detail, if I push the hair between the eyebrows, the beauty of the eyebrows / study tears will break through, and between the eyebrows and the surface to explain each other is enough to explain. Please ask me what questions to ask before going, and then ask me in detail. I would really recommend 100% satisfaction. Fortune Telling 지하 보도의 맨 끝에 있는 공간에서 진행할 수 있습니다. 행천궁 근처이기 때문에 간단하게 행천궁을 둘러보고 오는 것도 좋은 것 같네요. 지하에 여러 곳이 있는데, 맨 끝의 Rainbow Fortune Telling(파란색 간판)입니다. 영어로 가능하기하는데 막 영어 실력이 좋은 것은 아니고 대화가 될 정도입니다. 그리고 운세를 얼마나 자세하고 많이 듣냐는 전적으로 듣는 사람에게 달려있습니다. 저는 물어보고 싶은 것들을 굉장히 자세하게 준비해갔고, 말해주는 것에 대해서도 훨씬 자세하게 물어봤습니다. 평생운, 어떻게 운을 틀 수 있나, 각 얼굴별로 의미하는 나이별 운세, 심지어 연인과 가족 생년월일과 제 손금/얼굴 운세를 통한 여러 조언까지...본래 시간을 초과해서 거의 40-50분동안 진행했고, 운세를 봐주시는 분도 제가 말을 하고 자세하게 할수록 본인이 즐거워서 더 말했던 것 같습니다. *얼마나 자세하면, 제가 눈썹 사이 털을 밀어야 이쁜 눈썹이 가지고 있는 학업/시험운이 뚫릴거며 눈썹 사이와 겉 털을 정리하는 각각의 이유까지 설명할 정도입니다. 제발제발 가기 전에 어떤 질문을 물어볼 지, 그리고 가서도 자세하게 물어보세요. 저는 만족도 100%에 정말 추천드리고 싶습니다.